Top 100 Black Mob Violence Videos #159: Cleveland Hate Crime - White Girl Bleed a Lot, Knockout Game, black on white crime. These are just some of the hundreds of examples of racial violence and lawlessness in more than 80 cities around the country as documented in my book: White Girl Bleed a Lot: The return of racial violence to America. Thomas Sowell said : ”Reading Colin Flaherty’s book made painfully clear to me that the magnitude of this problem is greater than I had discovered from my own research. He documents both the race riots and the media and political evasions in dozens of cities.” – National Review. 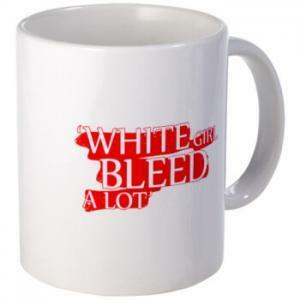 Colin Flaherty is the author of #1 Amazon Best Selling Book: White Girl Bleed a Lot: The return of racial violence and how the media ignore it. He is an award winning journalist whose work has been published in over 1000 news sites around the world, including the New York Times, Washington Post, Los Angeles Times, and others. He is a frequent guest in local and national media talking about racial violence. Thomas Sowell said ”Reading Colin Flaherty’s book made painfully clear to me that the magnitude of this problem is greater than I had discovered from my own research. He documents both the race riots and the media and political evasions in dozens of cities.” – National Review. Thank you for putting Mr. Fox’s personalized story on this web sight. He is not a statistic, but a human being. I’m glad he made this video. I read a Cleveland paper in reguards to this case from the comments section where one of the people who responded stated that he was gay, but he did NOT believe in ‘hate crimes’, as this is not governments business telling people how to think. I agree, an assault is an assault, period. Also, I listened to different clips of Eric “my people” Holder stating that he was more concerned for the people who have been “traditional victims of hate crimes”, so it gets too murkey.